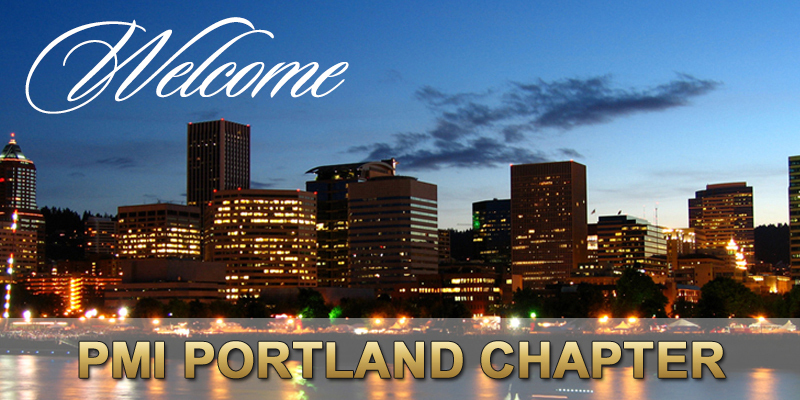 Welcome to PMI Portland Chapter, serving project management practitioners in the Greater Portland, Oregon area and Southwest Washington. Because our communities thrive and grow, our membership is one of the largest in the nation. The industries served include aerospace, engineering, communications, computer and telecommunications technology, healthcare, manufacturing, software development, transportation and more. Within the organization you will discover a place to grow, contribute and thrive through our extensive network of project management professionals. The opportunities abound for you to collaborate and share, Volunteer and engage and challenge each other through our Chapter Meetings, Annual Conference, Workshops, Certification courses and Roundtable events. Expand your professional network and join us in strengthening the project management community. We would like to get to know you. PMI Portland Chapter holds a Chapter meeting for members and non-members on the third Tuesday of the month, September through June. Chapter meetings include an educational presentation, networking hour, new member welcome meeting, dinner and a keynote presentation. Our speakers come from Project Management related disciplines across the spectrum and our meetings have proven to be valuable time spent by all attendees. PMs with PMI certifications can earn 2 PDUs for each Chapter meeting attended. Get Involved. Make a difference. Lead or join a team. Network, learn and have fun!